East Keswick Village Hall has enjoyed an extremely successful year as Peter Guildford, Chairman of Trustees, reported at last week’s AGM. The venue, home to the Post Office on Tuesdays and Thursdays, has proved very popular venue for weddings and other social events and hosts a wide variety of weekly activities. The Chairman outlined a whole series of enhancements undertaken over the last year, including new fire alarm and lighting systems, redecorated entrance, impressive new toilet facilities, and many cosmetic changes such as new curtains. 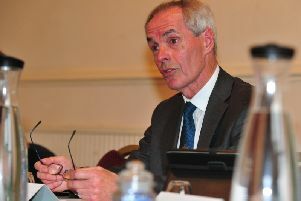 Looking ahead, Mr Guildford said that £25,000 has been earmarked to continue the programme over the next 12 months, including landscaping the rear garden and installing fixed garden furniture, replacing windows and doors, upgrading the bar area, and new carpets and chairs for the popular Verity Room. The Chairman thanked Trustees for their hard work and villagers for their support.